Dr. Gilbert received her A.B. in Chemistry from Randolph-Macon Woman’s College in Lynchburg, VA and her Ph.D. from Dartmouth College in Cell Biology with Dr. Roger Sloboda and the late Dr. Robert Allen. Dr. Gilbert trained as a Postdoctoral Fellow with Dr. Kenneth Johnson at Pennsylvania State University, University Park, PA, and joined the faculty in the Department of Biological Sciences at the University of Pittsburgh in 1995. 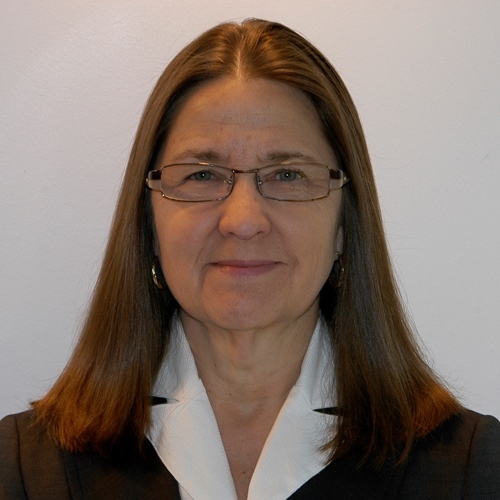 During her time at University of Pittsburgh, Dr. Gilbert was a member of the Graduate Faculty, the Graduate Program in Biological Sciences, the Molecular Biophysics and Structural Biology Graduate Program, and the University of Pittsburgh Cancer Institute. Dr. Gilbert joined Rensselaer in 2007 as Professor and Head of the Department of Biology. Dr. Gilbert’s research focuses on cellular movements, and the molecular motors that drive these movements to better understand cellular function and dysfunctions such as cancer. She performed much of her early research at the Marine Biology Laboratory in Woods Hole, MA. Dr. Gilbert received the March of Dimes Basil O’Connor Scholar Research Award, American Cancer Society Junior Faculty Research Award, and a National Institutes of Health (NIH) Career Development Award through the National Institute of Arthritis and Musculoskeletal and Skin Diseases (NIAMS). Her research program has been supported throughout her career by grants from the NIH National Institute of General Medical Sciences including a prestigious MERIT Award. Dr. Gilbert is a member of the American Society for Cell Biology, American Society for Biochemistry and Molecular Biology, American Association for the Advancement of Science, and the Biophysical Society where she served as a member of Council and the Executive Committee. She is an elected fellow of the American Association for the Advancement of Science (AAAS) and has served on the editorial boards for the Biophysical Journal, and the Journal of Biological Chemistry. Dr. Gilbert served as a standing member of the National Institutes of Health Nuclear and Cytoplasmic Structure/Function and Dynamics Study Section (2010-2014) and received the 2014 Rensselaer William H. Wiley 1866 Distinguished Faculty Award. A.B. Randolph-Macon Woman’s College, Lynchburg, VA. Chemistry. Ph.D. Dartmouth College, Hanover, NH, Cell Biology. Quinn, SM, DP Howsmon, J Hahn, and SP Gilbert (2018). Kinesin-2 Heterodimerization Alters Entry into a Processive Run along the Microtubule but Not Stepping within the Run. J Biol Chem 293, 13389-13400. Woll, KA, S Guzik-Lendrum, BM Bensel, NV Bhanu, WP Dailey, BA Garcia, SP Gilbert, and RG Eckenhoff (2018). An Allosteric Propofol-binding Site in Kinesin Disrupts Kinesin-mediated Processive Movement on Microtubules. J Biol Chem 293, 11283-11295. Gilbert, SP, S Guzik-Lendrum, and I Rayment (2018). Kinesin-2 motors: Kinetics and Biophysics. J Biol Chem 293, 4510-4518. Guzik-Lendrum, S, I Rayment, and SP Gilbert (2017). Homodimeric Kinesin-2 KIF3CC Promotes Microtubule Dynamics. Biophys J 113, 1845-1857. Bensel, BM, S Guzik-Lendrum, EM Masucci, KA Woll, RG Eckenhoff, and SP Gilbert (2017). Common General Anesthetic Propofol Impairs Kinesin Processivity. PNAS 114, E4281-E4287. Albracht CD, S Guzik-Lendrum, I Rayment, and Gilbert SP (2016). Heterodimerization of Kinesin-2 KIF3AB Modulates Entry into the Processive Run. J Biol Chem 291, 23248-23256. Phillips RK, LG Peter, SP Gilbert, and I Rayment (2016). Family-specific Kinesin Structures Reveal Neck-linker Length Based on Initiation of the Coiled-coil. J Biol Chem 291, 20372-20386. Zhang, P, I Rayment, and SP Gilbert (2016). Fast or Slow, Either Head Can Start the Processive Run of Kinesin-2 KIF3AC. J Biol Chem 291, 4407-4416. Planelles-Herrero, VJ, F Blanc, S Sirigu, H Sirkia, J Clause, Y Sourigues, DO Johnsrud, B Anigues, M Cecchini, SP Gilbert, A Houdusse, and MA Titus (2016). Myosin MyTH4-FERM Structures Highlight Important Principles of Convergent Evolution, PNAS 113, E2906-E2915. Guzik-Lendrum, S, KC Rank, BM Bensel, KC Taylor, I Rayment, and SP Gilbert (2015). Kinesin-2 KIF3AC and KIF3AB Can Drive Long-Range Transport along Microtubules. Biophys. J 109, 1472-1482.